Thank you for you interest in our Building Confidence in your Culture research report. To download just complete and submit the form. In order to manage culture, you need to know precisely what culture is, how it works, how to measure it and how to improve it. 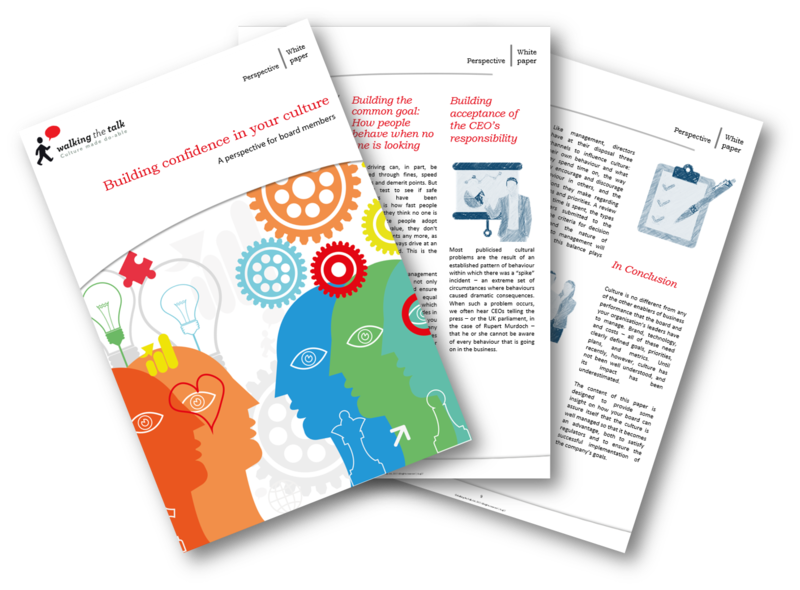 With the Building Confidence in your Culture paper, Walking the Talk's Carolyn Taylor seeks to provide insight into each of these factors. The content of this paper is designed to provide some insight on how your board can assure itself that the culture is well managed so that it becomes an advantage, both to satisfy regulators and to ensure the successful implementation of the company’s goals.